Betway has been in operation since 2006, with their sportsbook having attracted a huge amount of customers across Europe thanks to its range of markets and generous promotions. Betway is licensed by the British Gambling Commission, while they also have associations with many major sports teams. Our Betway review will take a detailed look at their operation, including the Betway welcome bonus, which offers potential customers an excellent platform to build upon. Betway also perform well when it comes to live streaming and mobile platforms, which are also hugely attractive features for punters. New customers at Betway are able to earn a £30 free bet by making an opening deposit of just £10, which provides the perfect boost to your kitty, no matter what your betting strategy is. Of course, there are some important terms and conditions to consider beforehand, with the Betway bonus needing to be wagered at least eight times before withdrawals can be made. As well as this, odds of 3/4 (1.75) of greater must be met with each bet, otherwise it will not qualify as part of the wagering requirements surrounding the Betway new customer offer. Enter the Betway website via desktop or mobile device. Click on the “Register” option found in the top-right hand corner of the screen. Complete the necessary personal details, as well as creating a unique username and password. Check the box “I wish to receive the Sports Welcome Bonus offer”. Making an opening deposit of at least £10 using your preferred method of banking. Claim your free £30 bet within just 24 hours. It is worth keeping in mind that opening deposits made via either Skrill or Neteller will not qualify for the Betway free bet, while deposits must be made within seven days of registering a new account with the bookmaker. As well as their welcome offer, Betway also provide a range of promotions for existing customers, perfect for those looking to maximise winnings and minimise losses. Firstly, those placing bets of £10 or more on virtual markets at Betway will receive a £5 free bet, which can then be used on any market found on their sportsbook. Odds of 3/4 must be met in order to qualify, with virtual markets including horse racing, cycling, football and motor racing. Fans of American Football will also be pleased with the Field Goal Special promotion, which ensures that punters receive their money back in the form of a free bet, should their NFL bet lose, but the last score was a field goal. Free bets are distributed up to a maximum of £20, with single, pre-match bets on the NFL the only form of bet that will qualify. E-Sports is one of the fastest growing betting markets, with Betway catering for fans with a range of promotions in this area. Different quests are stated each week, with free bets available to win for those reaching the qualifying requirements. The Free Bet Club enables customers the chance to earn themselves a £10 free bet on a weekly basis, with at least £25 needing to be spent on any trebles (or higher) in order to qualify. Customers must first opt in in order to be in with the chance of utilising this promotion, before placing bets totalling at least £25 during the duration of one week. As well as this, odds of 2/1 must be met in order to qualify. Free bets will be received in two stages, £5 on Saturday and another £5 on Monday. Betway have developed and introduced 4 To Score, a prediction game offering £25,000 each week in prize money. As the name suggests, customers must successfully pick the first goalscorers in four selected football matches, with no stake required in order to enter. In the event of no one correctly guessing all three scorers, the jackpot will rollover until the next week, up to a maximum of £250,000. Matches generally come from the English Premier League and other major competitions. 4 To Win is the perfect promotion for horse racing fanatics, with punters having to successfully pick the winner of four selected races. A jackpot of £1,000 is available to win on a weekly basis, however this increases to an impressive £10,000 for major races shown on ITV. Selections must be made before the start of the first of the four selected races, while only one entry is permitted per customer. Over 30 different sports were found at Betway at the time of writing this review, with everything from football and tennis to bandy and curling demonstrating their diversity as a bookmaker. The likes of football, basketball, tennis and ice hockey form a significant part of their platform when it comes to both pre-match and in-play markets, which perhaps comes as little surprise due to their popularity across Europe. The depth of markets at Betway is also certain to impressive even the most demanding of punters, with high-profile matches from the world of football and tennis being joined by amateur events from up and coming disciplines such as water polo and pool. Available on both iOS and Android devices, the Betway mobile app is an excellent platform for both sports and casino customers, with thousands of betting options being available at the palm of your hands. All of the same features as found on the main Betway desktop site are also accessible via the app, with the download links being found via the App Store and Play Store respectively. The Betway app is easy to use and is simplistic in its design, with features such as banking, customer service and cashing out all being available in just a few taps of the screen. As well as this, punters can watch the action as it unfolds thanks to Betway’s live-streaming service, which also performs well on the app. Cashing out has become one of the must-have features for any online bookmaker, with Betway having certainly recognised this notion. Cash out puts the customer firmly in the driving seat, allowing them to settle bets before the completion of all selections found on their bet slip. Cash out is available on a range of sports and markets at Betway, with the relevant tab appearing on your bet slip when offered. Valid on single, multiple and system bets, a proportion of the potential winnings will be displayed, in accordance with the current ongoings of your selected markets. There are a good number of live betting opportunities at Betway, with their dedicated in-play page offering markets from football, tennis, basketball, cricket and many other sports on a daily basis. Many markets are aided by attractive graphics, while the bookmaker also provides useful statistics regarding events, which can help in making your wagering decision. The fact that live streaming is also available at Betway only adds to the excitement of live betting, with action from major European football leagues, the men’s and women’s tennis tours, a variety of basketball competitions and ice hockey competitions being accessible on a regular basis. Streams are available in high-quality via desktop or mobile, with a positive account balance required in order to gain access. Betway offer a range of options when it comes to depositing and withdrawing cash on their sportsbook, including major credit and debit cards, along with popular e-wallets such as PayPal, Neteller and Skrill. Betway minimum deposits start at £10, while all banking methods allow for immediate deposits also. Withdrawals times at Betway range from just 24 hours to 5 days, with no additional fees to worry about. 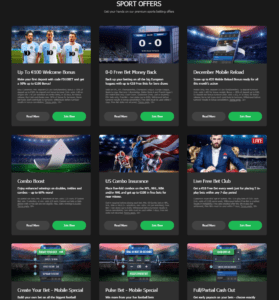 Betway are clearly one of the biggest and most popular online bookmakers around today, with their large range of markets and additional features making them an appealing platform for any betting customer. Betway perform well when it comes to live streaming, cashing out and promotions for both new and existing punters. Their desktop site and mobile app are both extremely easy to use and simplistic, with all markets and features accessible in a matter of seconds. What is the Betway’s sign up offer? New customers at Betway are able to earn a £30 free bet upon signing up, with just an opening deposit of £10 or more required in order to qualify. 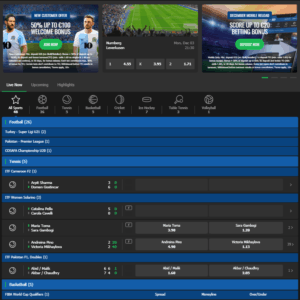 How to get free bets on Betway? There are a range of free bet opportunities at Betway, including their promotions for both new and existing customers. Free bets can be accessed by meeting the requirements set by the bookmaker. Is there a Betway App for Android & iOS? The Betway sports app is available to download via both Android and iOS devices, with the relevant links being found through the Play Store and App Store respectively. Can you cash out on free bets on Betway? Unfortunately, cashed out bets will not qualify towards the wagering requirements of a free bet offer at Betway. What’s withdrawal time on Betway? Withdrawal times at Betway range between 24 hours and 5 working days, depending on the method of banking chosen by the customer. What’s minimum deposit on Betway? Minimum deposits at Betway start at just £10, however this amount will again depend on the method of banking selected. How to get access to live streaming on Betway? Customers can gain access to live streams at Betway by betting on the event in which they wish to view, or by having a positive account balance at the time. Does Betway support live betting? Live betting is available at Betway, with a large number of markets found on a daily basis.